David J. Deschaine has been installing roofing, siding and gutters for Maine homeowners for over a quarter-century. Protect your home from water damage by preventing water from sitting against your foundation and leaking into your basement. Whether you are installing new gutters onto your home or replacing old ones, there are a variety of reasons to choose Deschaine Seamless Gutters. Our Seamless Gutters will never leak and will stand up to harsh Maine winters. Keep ice off your walkways and stairs, and protect your friends and family. 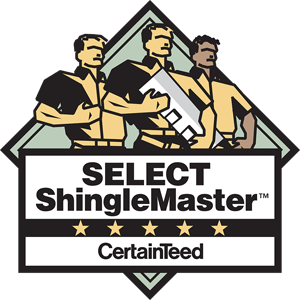 Click the other tabs to learn more about what sets Deschaine Seamless Gutters apart. You can also schedule your appointment today by filling out or Free No-Obligation Estimate form, and one of our friendly office staff will contact you ASAP!. Our Maine seamless gutters are made of a high quality aluminum coil product so you never have to worry about your brand-new seamless gutters leaking or ever having to paint your gutters because it is a baked on enamel finish. The gutter is oh 0.32 aluminum coil and is the strongest gutter product available in the industry. The best part is there are no seams, no joints, and You will have no leaks. Our Maine seamless gutters come in a available in a variety of colors, So we can create these beautiful one piece seamless gutters quickly and will match all of the trim soffit and fascia so they will blend in an almost become invisible with your fascia. We install nothing but the best quality seamless gutter products and you'll never have to worry about leaks and we use gutter sealant behind the gutter so basically bonds to your fascia, so it helps against any heavy snow or ice that maybe freeze into your gutter. These Maine seamless gutters have the best seamless gutter hanger in the business, and our gutter installer that we use locally we have partnered with them, and they use nothing but the highest quality products. The gutter hanger is installed 12" inches on center which is unheard of in this industry so on the gutter fills up a snow or ice you never have to worry about the gutter pulling away from the fascia and we use gutter screws in the hangers which only the leaders in the industry use..
Make sure you include us and all of your estimates when you're having a new roof or siding installed, and our exclusive gutter installer will provide the rain diversion system that moves all the water away from the foundation so eliminates any erosion that so important to keeping your basement dry. 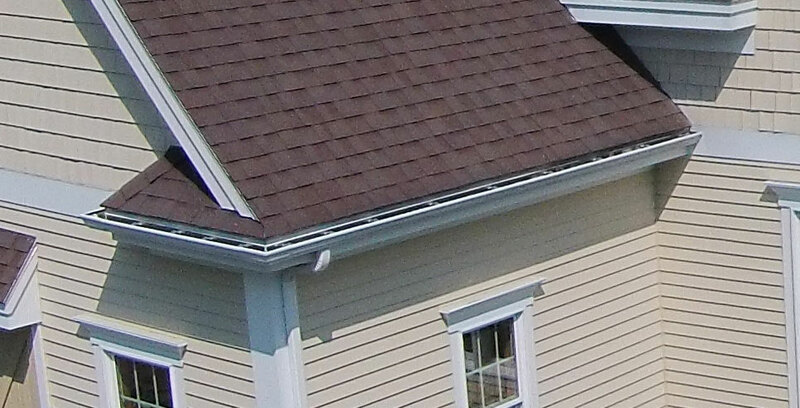 We also have some customized gutter covers it will keep your gutters clean year-round, and our exclusive seamless gutter installer's only use the highest quality gutter screens in Maine. We want to protect your home is much as you do, and we will install the very best products and we make the seamless gutters at your door so you can be assured of only the best quality aluminum seamless gutter products here in ME. You will have the strongest seamless gutter warranty in the business, so you can feel confident when you use David Deschaine roofing and siding for your gutter installations that we bring the very best local gutter installers to your home. 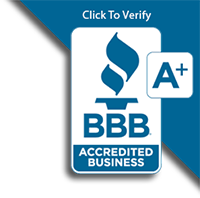 We know you want the very best seamless gutter product on your home, and our aluminum Maine seamless gutter specialist are the experts in the area, and they do hundreds a gutter jobs a year and will do everything we can to make you another happy customer. Fill out the free estimate form here on the website, and once we receive your email, and your appointment confirmation from our automated gutter appointment scheduler, we will get back to you ASAP! 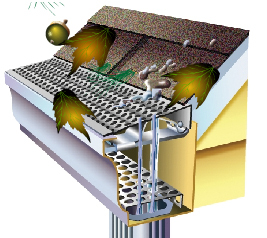 Gutter Tunnel is a new, Patented Dual Filtration system. It is made of two heavy-gauge aluminum debris filters - on on top of the gutter and one inside. It provides double protection, keeping leaves, pine needles, etc. off the bottom of the gutter, allowing water to flow freely. Gutter Tunnel assures free flowing gutters, which means you can say goodbye to the dangerous disgusting job of climbing ladders to clean out your gutters, or the expense of hiring somebody else to do it.